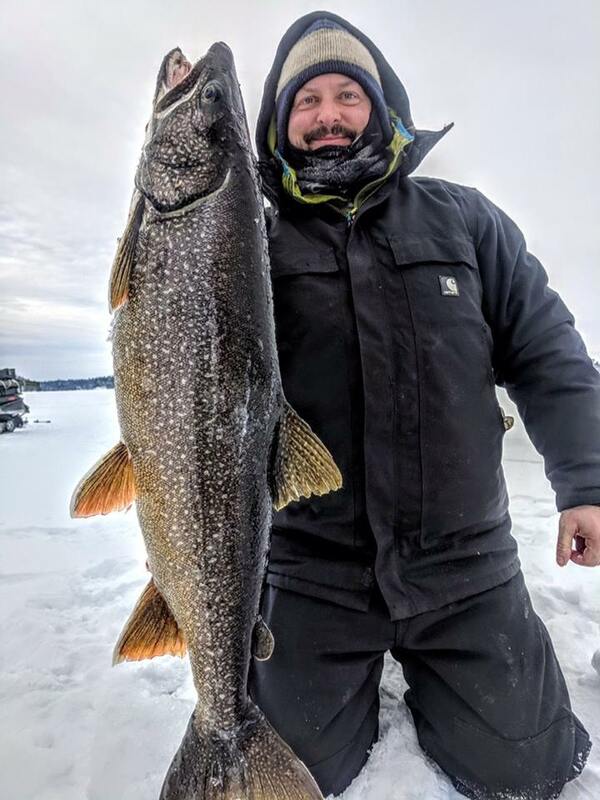 Fishing on the Hard Water! Here are a few photos and video from the past few. 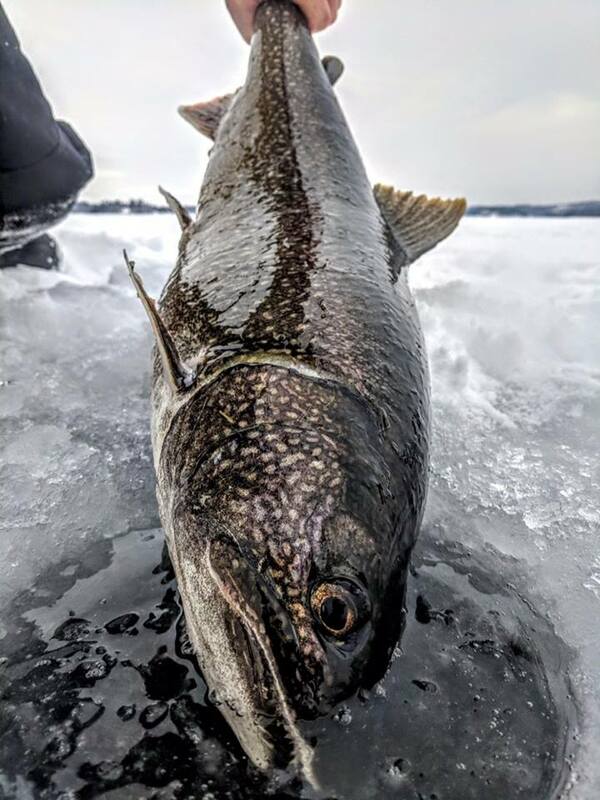 We have plenty of ice, not a lot of snow and the fish are biting. 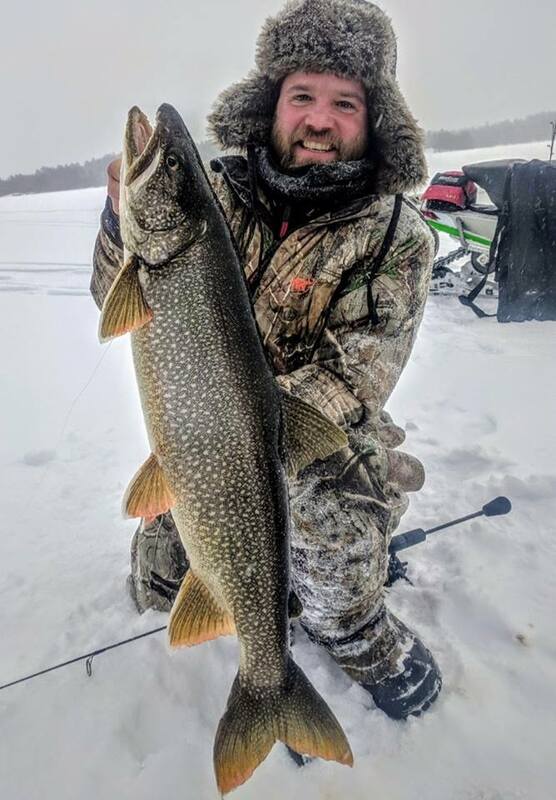 Can’t wait to see you on the hard water. great start and only about 270 more days to go! 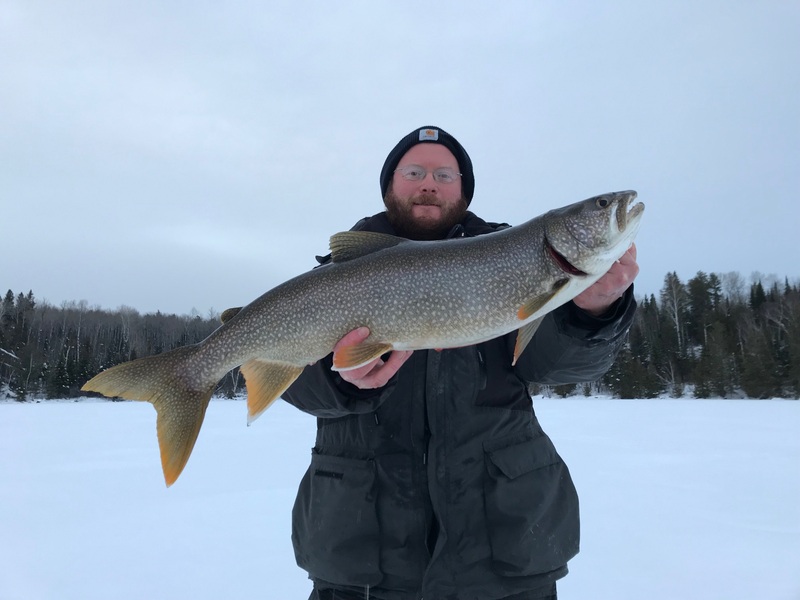 65 cm (25.6 in.) and Conservation Licence – 1, any size. 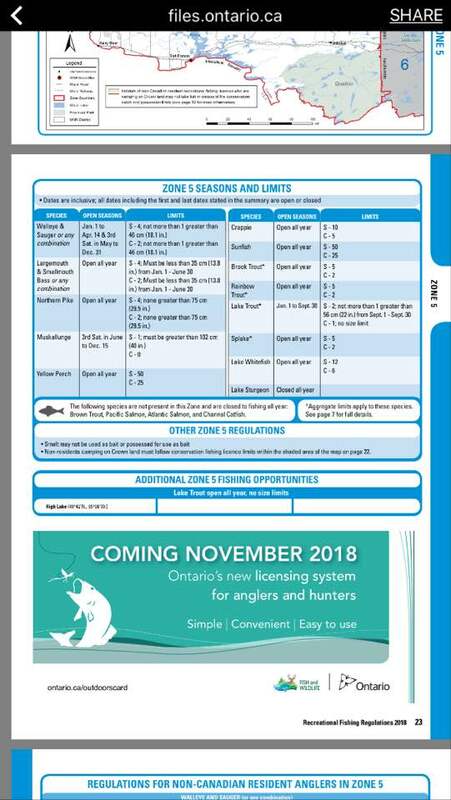 Live bait is prohibited on Whitefish Bay and only barbless, single hooks are allowed. 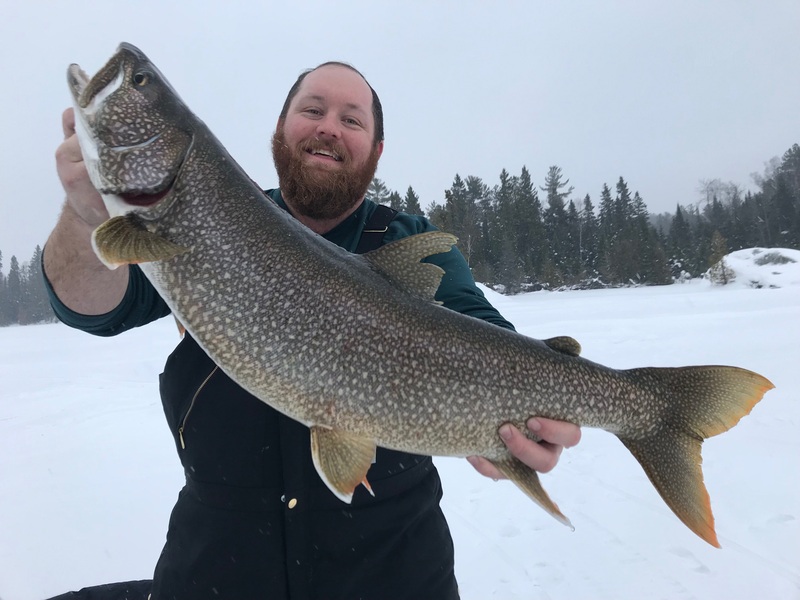 46 cm (18.1 in.) is allowed. 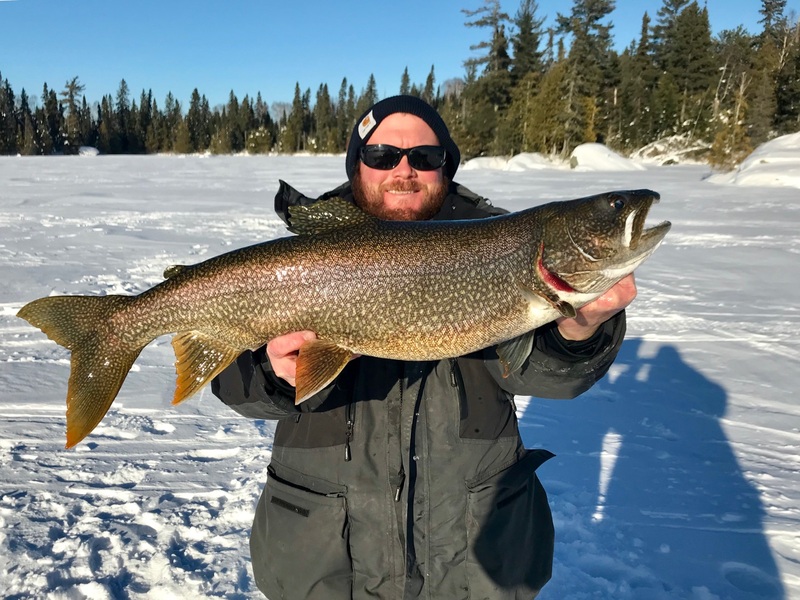 Lake Trout has been open one day and everyone is catching fish but being tight-lipped so we will have to give it a couple of days for them to loosen up! 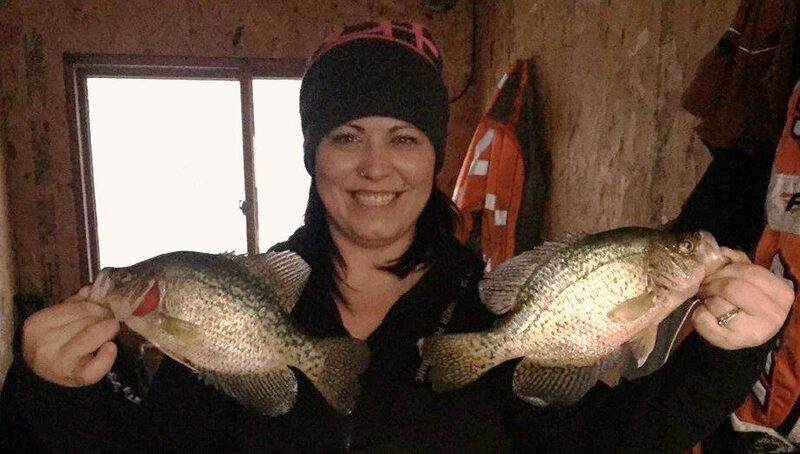 Crappies: best bite is in the low-light periods in the morning and evening. Schools are scattered so it is best to move around a lot to find them and stay on them. Couple good year classes showing up so you will get a variety of sizes. 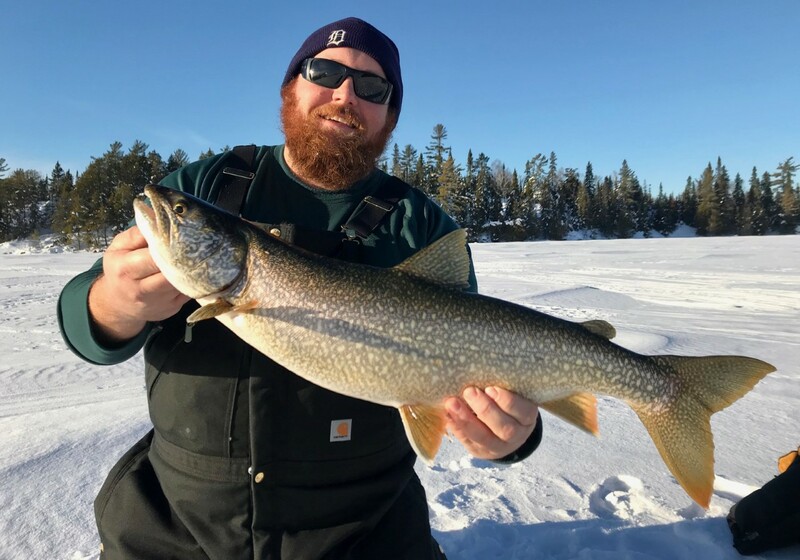 Walleyes: best bite is just as it starts to get dark. As usual for up here, the best plan is to trout fish in the morning into early afternoon and then head over and chase crappies and walleyes in the evening.